Free Festive Download for Members! As a special thank you to all the members of robives.com I'm delighted to present this free festive download. 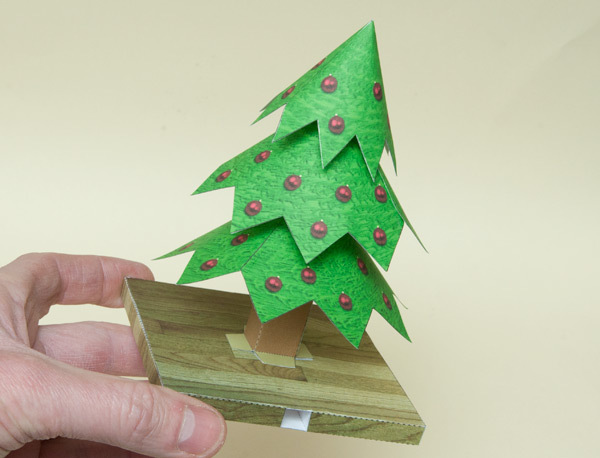 This collapsible tree sits nicely on your desk or mantlepiece and folds flat for easy transportation. I hope that you enjoy the model and the season. Thanks again to all the members, I literally couldn't run this site without you! 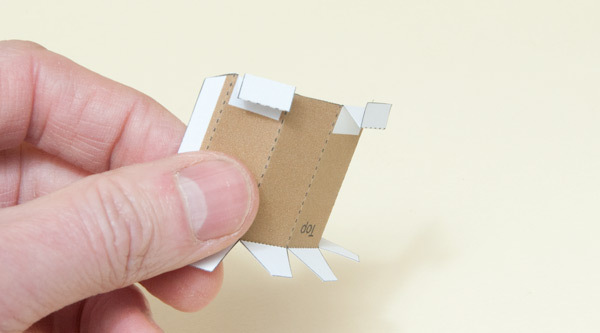 Print the parts of the project onto thin card. (230 micron / 230 gsm) Score along the dotted lines then cut out the holes before carefully cutting out the pieces. 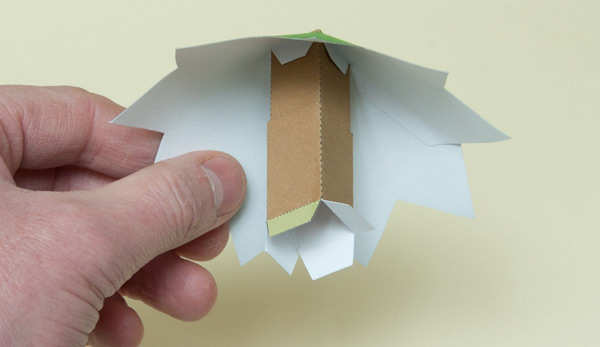 Fold up and glue together the base and sides of the box. Glue the box inners into place lining them up with the hole in the side of the box. 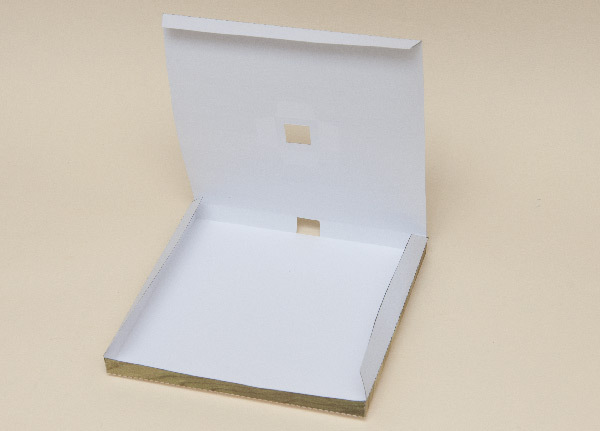 Fold the top down and glue it into place making sure to glue the top tabs on the box inners as well. 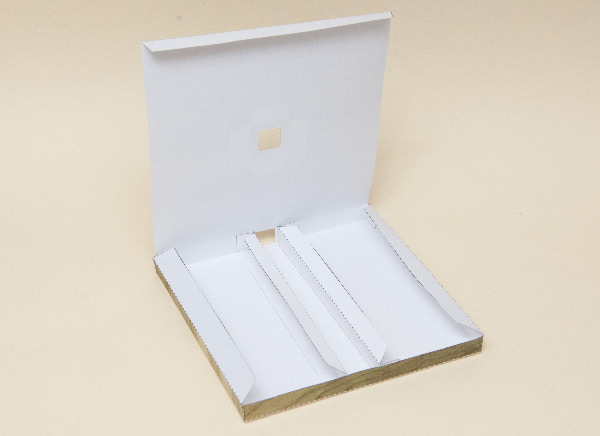 The trunk sections are fitted with tabs which are zig-zagged to make double thicknesses of card. 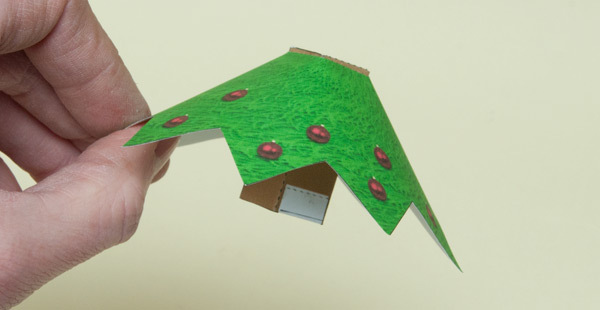 Some fold inwards, some outwards, use the dotted and dashed lines and the grey gluing areas to show you which goes where. Assemble the four trunk pieces. 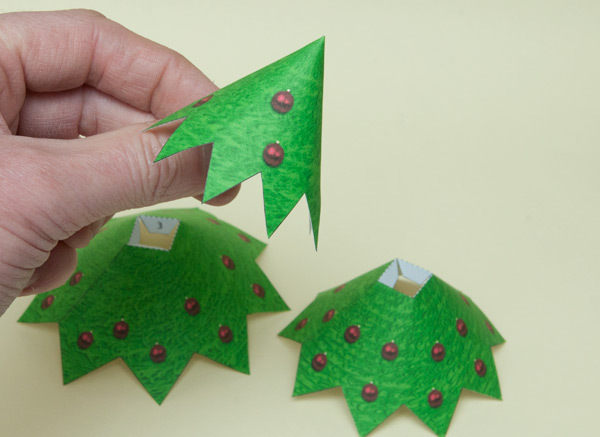 Curve round and assemble the three branch cones. Glue the trunk section labeled 'Top' to the inside of the top cone. Make sure that is it straight. Fit the trunk sections 2 and 3 to their appropriate branch cone at the end opposite to the double thickness tabs. Fit the last trunk section over trunk section 3. 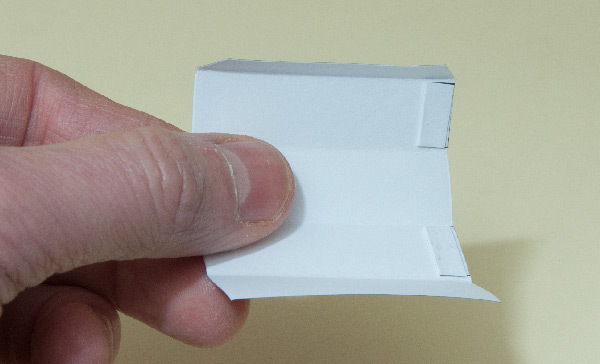 Make sure that the inner and outer double thickness tabs are on matching faces. These will stop the tree expanding too far. Fit the other two cone sections into place in the same way. 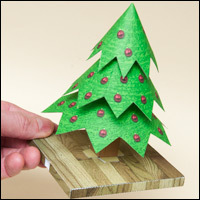 Complete the tree by gluing it into place over the hole in the base. 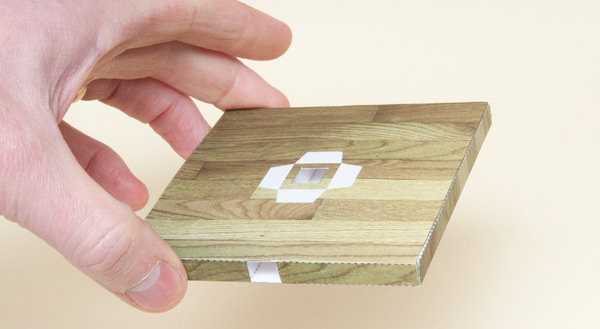 Once the glue is completely dry you will be able to collapse the tree by pushing it down then restore it to ful height by blowing into the hole in the side of the box. bywater got the first Christmas tree 🙂 Ho ho ho! Got this one put together this morning. The kids squashed and re-inflated the tree over and over the whole day long. 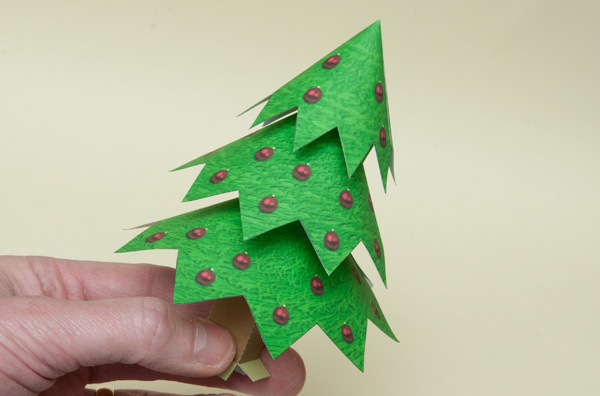 Wow, thanks for offering this tree craft to us. It looks simple enough to take on. It also looks like it can be used year after year because it is collapsible. Your instructions are really well written.